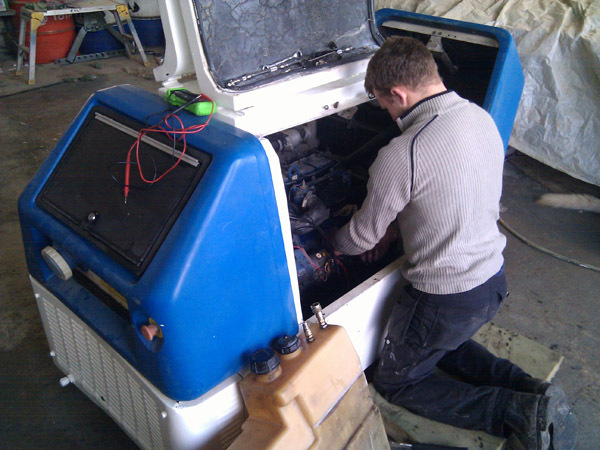 Chew Valley Generators carry out diesel generator servicing for our own hire machines and generators supplied by third parties. Our trained engineers regularly visit your site to carry out a range of checks along with filter and fluid replacements as and when necessary. We check numerous aspects of your generators condition, including: fuel pipeline, lubrication, water and additive levels, belt tensions, safety system operation, wiring and connection conditions, filters, cooling system. The list goes on until we are sure your machine will continue running healthily. We are always happy to work with you so if needed these checks can be arranged for off-peak production times to minimise disruption to your business. With our comprehensive diesel generator servicing your machines will be cared for to ensure lifespan and efficiency are maintained. Preventative maintenance ensures that problems arising as the generator ages are diagnosed early and corrected before it effects your business. For standby generators, we take our tests to another level with our Mobile Load Bank, the safest way to ensure your standby generator will be in peak condition when the time comes.